A lovely and good size French C19th sparkly mercury glass rectangular mirror. 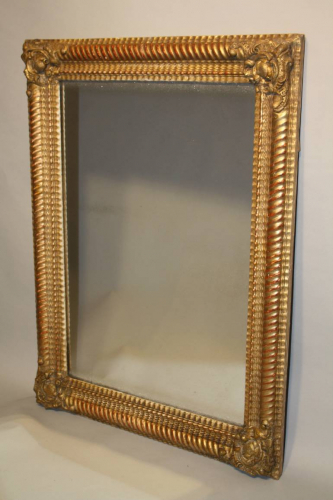 The gold leaf frame is decorated with rope twist and ridge detail with cartouche corners. Lovely age and wear to gilt showing slight red underneath coming through but overall in very good original condition. Can be hung portrait or landscape.